The cable chain link ferry from Poole to the Isle of Purbeck, including Swanage and Corfe Castle. 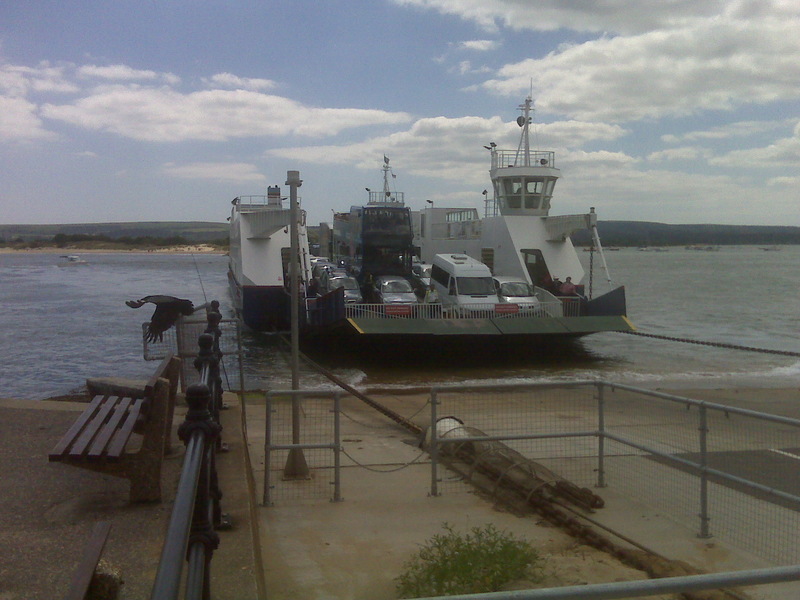 Escaped from the fast-life of Hastings Old Town to the, er, fast-life of Swanage via the ferry from Poole. I recall going on this very same ferry when I was about five-years-old. It hasn’t change at all, which is, somehow, quite reassuring. As the crossing makes its brief way in what must be about 10 minutes, you look inland toward Brownsea Island and, in the opposite direction, out to sea.